Some women feel that motherhood is a calling and their purpose on earth. They somehow manage to make pregnancy look effortless, bring out the beauty in a screaming child, and keep the back seat of their cars as spotless as their kitchens. In this blunt and side-splittingly funny book of essays, Liz Astrof embraces the realities of motherhood (and womanhood) that no one ever talks about: like needing to hide from your kids in your closet, your car, or a yoga class on the other side of town, letting them eat candy for dinner because you just can't deal, to the sheer terror of failing them or at the very least losing them in a mall. And sometimes, many times, wondering if the whole parenting thing wasn’t for you. 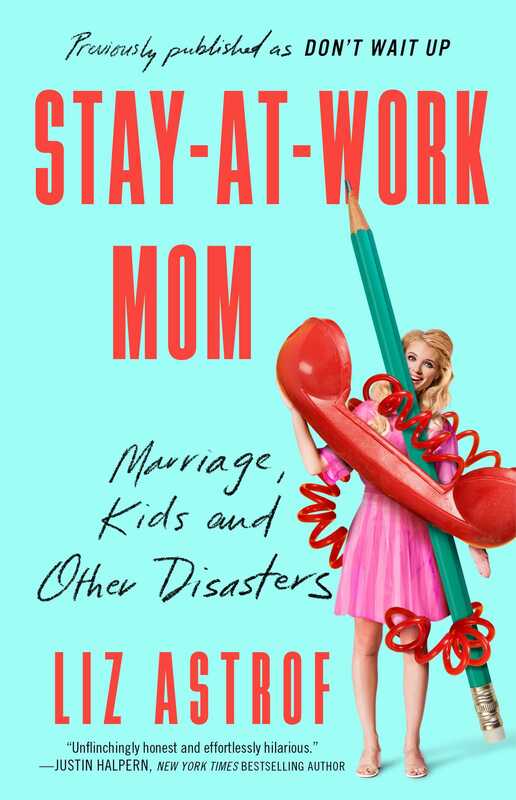 In vivid and relatable prose, she discusses her love for her career, how she’s managed to overcome some of her own dysfunctional childhood, and the ups and downs of raising the little demons she calls her own…from the office. Soul-baring, entertaining, and insightful, Don't Wait Up is an abashedly honest look at parenting and relationships for moms who realize that motherhood doesn’t have to be your entire life—just an amazing part of it—that you would definitely most likely do all over again. Liz Astrof is an award-winning executive producer and one of the most successful sitcom writers in television today. She has worked on The King of Queens, Raising Hope, 2 Broke Girls, Whitney, Becker, and many more. She lives in California with her family. "Astrof is like the hilarious, did-she-really-just-say-that friend you would kill to have at school pickup—the one that makes you explode in gleeful, scandalized laughter. She goes there—and the parenting genre is never going to be the same." "I found this book utterly disturbing. Not because of Liz's unique take on motherhood, a self-proclaimed Stay-at-Work Mom, but because in a million years I will never write anything this funny. And that is unacceptable." "Liz Astrof is wickedly funny, which is an overused term, but I feel should be solely reserved for Liz. She lets you into her life and doesn't try to sugarcoat it. It's unflinchingly honest and so effortlessly hilarious. I can't tell if Liz is insane or not, which, I swear, is a compliment."